Rombouts, J.O, Bohte, S.M, & Roelfsema, P.R. (2014). 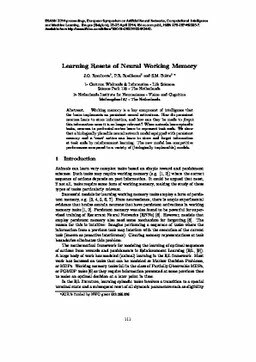 Learning resets of neural working memory. In Proceedings of Proceeding of the European Symposium on Neural Networks 2014 (ESANN 23). D-Facto.